Objectives: This paper attempts to measure the impact of the second stage exploitation of FDA’s MAUDE database on patient safety, technology assessment and other scientific fields. Methods: Five bibliographic databases have been queried with the terms “Manufacturer and User Facility Device Experience Database” and “FDA AND MAUDE”. A number of eligibility criteria where applied on the results, which led to a final group of 117 papers. An extensive study of these publications resulted to a number of interesting findings. Results: The results concern the evolution of the database exploitation over time, and are examined according to the device groups that the identified papers are referring to, the research goals of these papers, the reasons that led the authors of these papers to use MAUDE data and finally how these data were used within their research methodology. Conclusions: Patient safety and technology assessment are two of the scientific fields on which MAUDE database has the greatest impact. On average, more than 10 peer-reviewed papers each year involve MAUDE data as a mean to reach their research goals. This proves that MAUDE is an exploitable and valuable data source for research in these scientific fields. It is required to obtain written confirmation from author(s) in order to acquire copyrights for manuscripts published in this journal as to index them in repositories. Therefore, Author(s) must obtain all parties consent [co-author(s), others if applicable] and submit the acceptance of Copyright Agreement with their paper. Written permission must be obtained by the author for material that has been published in copyrighted material; this includes tables, figures, and quoted text that exceeds 150 words. A copy of all permissions must accompany the manuscript when published in copyrighted material. The author(s) hereby represents and warrants that the paper is original and that he/she is the author of the paper, except for material that is clearly identified as to its original source, with permission notices from the copyright owners where required. Author(s) must clearly indicate that approval for publication has been received in cases of institutional ownership. All submitted material remains the property of the journal and a copy will be returned to the author; however, the GlobalCE Journal reserve the right to reprint all or portions of the article and to post all or part of the article online. 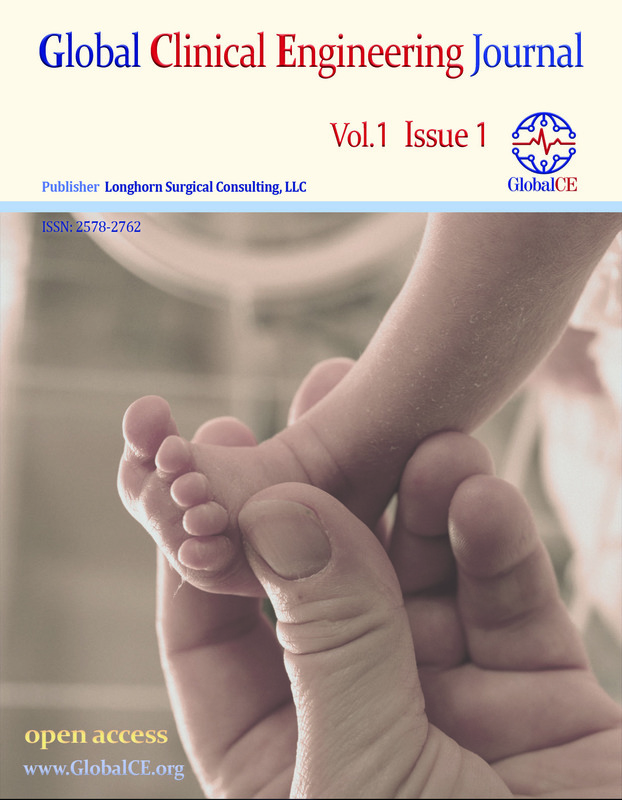 GlobalCE Journal reserves the right to edit manuscripts as required to publish in the journal. Before a paper is submitted for publication, one of the authors must accept the copyright form. Authors are responsible for obtaining any and all clearances as appropriate.